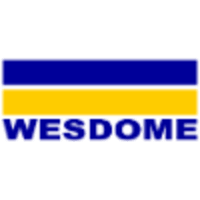 Wesdome Gold Mines Ltd. (TSX: WDO) today announces additional high grade results from the ongoing underground exploration drilling of the Kiena Deep A Zone at its 100% owned Kiena Mine Complex, in Val d’Or, Quebec. Additionally, drilling has identified a well-defined plunge, that extrapolated up plunge into areas of historical drilling, indicates that the mineralization could extend up plunge an additional 250 metres, while the down plunge and down dip extensions of the zone remain open. Recent drilling has extended the gold mineralization of the A Zone beyond a 350 metre strike length announced in a news release dated June 26, 2018. Today’s drill results have continued to extend the zone of mineralization an additional 50 metres down plunge to the southeast. Following the continued success of the ongoing diamond drill program, the Company took the decision to extend the current exploration platforms by a total of 450 metres to continue to define the possible extension of the Kiena Deep A Zone to the northwest, southeast and down dip. A total of 243 metres of additional development have been completed since July, and is expected to be completed at the end of October. As this drill drift development continues, 4 drills are in operation on the A Zone and remain focussed on definition drilling in advance on the Q4 resource estimate, with less focus on extension drilling along the margins of the mineralized zone. Since July, a total of 18 holes totalling 5,200 metres have been completed (Figure 1A and 1B). The definition drilling has continued to confirm the overall continuity of the Kiena Deep A Zone and improve our understanding and confidence in the controls on gold mineralization. Highlights of the new drilling are listed below and summarized in Table 1. Recent drilling has identified a well-defined, moderate plunge of approximately 45 degrees to the SE to the gold mineralization that occurs predominantly along the basalt – chlorite-carbonate schist boundary (Figure 2: Longitudinal Section of the Kiena Deep A Zone). The recent drilling has defined this plunge extending from the 1,600 metre elevation (1,400 m below surface vertically) to the 2,000 metre elevation (1,000 m below surface). Extrapolating this well-defined zone up plunge is in good agreement with two historic holes. Hole 6146 that returned 6.63 g/t over 11.0 metres (core length) from a zone located over 100 metres to the northwest of our current drilling and is interpreted to be the up plunge extension of the A Zone. Furthermore, hole 5976 returned 7.26 g/t Au over 3.0 metres (true width) at the 2,300 metre elevation, or approximately 350 metres vertically above our current drilling level and in excess of 300 metres to the northwest of the currently defined A Zone. Although this area will be the focus for continued drilling, this initial interpretation indicates that the up plunge mineralization could be extended more than 250 metres. Both of these holes intersected quartz veining with visible gold proximal to the projected basalt – chlorite-carbonate schist boundary that is similar in character to the Kiena Deep A Zone currently being drilled. Additionally, the down plunge and portions of the down dip extension of the A zone remains open. The technical and geoscientific content of this release has been compiled, reviewed and approved by Bruno Turcotte, P.Geo., (OGQ #453) Senior Project Geologist of the Company and a “Qualified Person” as defined in National Instrument 43-101 –Standards of Disclosure for Mineral Projects. Analytical work was performed by Techni-Lab (ActLabs) of Ste-Germaine-Boule (Quebec), a certified commercial laboratory (SCC Accredited Lab #707). Sample preparation was done at Techni-Lab (ActLabs) in Val d’Or (Quebec). Assaying was done by fire assay methods and all samples with visible gold were assayed by metallic sieve method at Techni-Lab (ActLabs) laboratory in Ste-Germaine-Boule (Quebec). In addition to laboratory internal duplicates, standards and blanks, the geology department inserts blind duplicates, standards and blanks into the sample stream at a frequency of one in twenty to monitor quality control.